Here's Baby Rhoda, one of my new ePals. She's been given a home temporarily until she can be released in the Spring. It's way too cold to put this little baby outside now. She lives up in the northern USA, where it gets below freezing and a little baby like this without a mom would die. Thanks to her new mom, she will be just fine and in Spring she can go back into the wild with her friends and relatives. Thanks for getting these great photos of my new friend, Baby Rhoda! 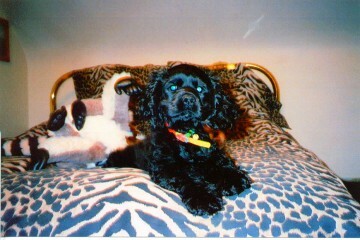 My next ePals are the 'Fur' children of Barbie Black in Fairfax, Virginia. 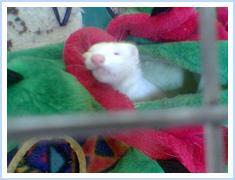 The little dark eyed white ferret all snuggled up to the right is named Edgar 'JB' Winter. 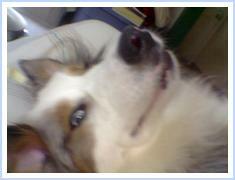 Below is a 1 1/2 year old Australian shepherd named Buddy Boy Blue. Wow! What big teeth you have for such a sweet puppy. 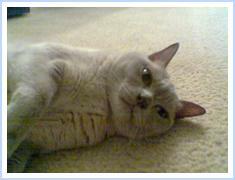 And the kitty on the bottom right is a 13 year old Burmese named Jesse, but more commonly known as 'The Purrcolator'. Barbie says that these guys are the angels in her life which is full of love and happiness. It's obvious that they are loved and pampered so it only stands to reason that they would make your life more blessed. What a cute collage this is of my new ePal, Allison, and 15 year old mix, Riley. 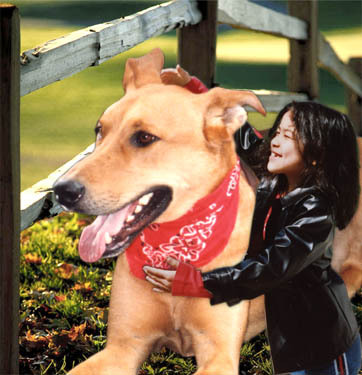 Both of them were adopted by Tom Quinn, a graphic artist who lives in Downers Grove. Thanks for the great picture, Tom!!! Here's Max, a blue crowned conure like Rio. 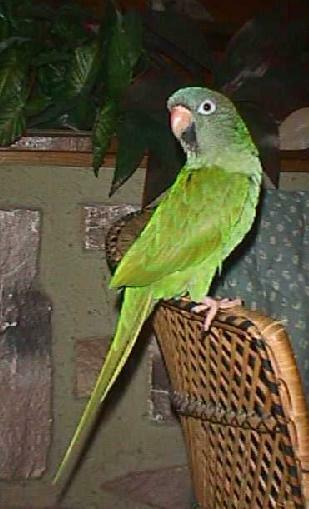 Max is a happy bird living in Miami, Florida. Taylor Scheuermann says that Max is his little bro'. Thanks for the great photo of a real cutie pie. Little Kip looks mighty comfortable on Cory's shoulder. They are two of my newest ePals. Thanks, Andrea, for submitting this photo for my ePal page. Some of my favorite people in the whole world live in Illinois. This newest ePal is named Angel. 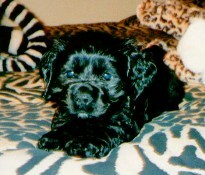 Below are two photos of Angel at 5 months on the left and 7 weeks old on the right. Tammy Closson sent these photos to me from Illinois and I am happy to have her & Angel as my new ePals!!! More ePals on ePal Page 6...Click Here!! !